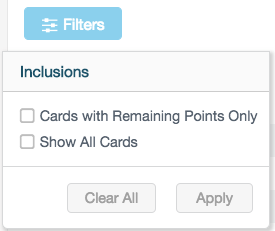 The Rewards Cards Report shows all rewards cards, current points, and linked customers. 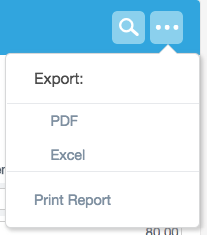 You can also use this report to modify current rewards points. Account ID: The unique account ID for the rewards card. Customer: The customer linked to the rewards card. Number: The unique rewards card number. Use this number to locate the reward card manually on the point of sale. Current Points by Purchase: The number of purchase reward points on the card.